The aymosphere was very nice. I travelled alone and I stayed at the double room downstairs which was amazing. Staff were very friendly. I would def come back again. Das Personal des Hostels ist ausserordentlich freundlich und hilfsbereit. Sie wissen wirklich auch sehr gut Bescheid was Verkehrsverbindungen betrifft, einfach genial, das erspart viel Recherchezeit. 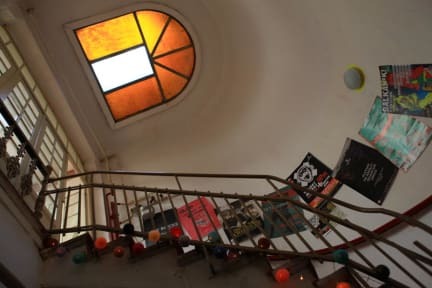 Das Hostel ist sehr gemütlich, perfekt gelegen, nahe Supermarkt und U-Bahn, verfügt über eine Küche und ist sehr preiswert. Das Doppelzimmer war zudem sehr gemütlich, schön eingerichtet un riesig. Wifi top und alles sauber. Definitiv empfohlen. Thank you very much. Very good hostel- some of the best staff at any hostel I have ever had. 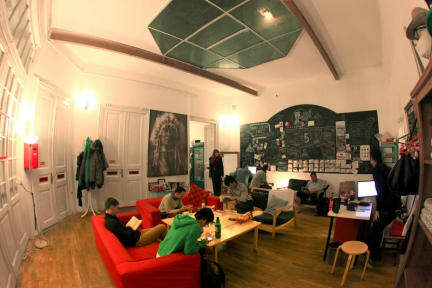 A smaller hostel with a great common area. Bathrooms were a tad small but worked without problem. Towels and linens included- always a plus! A short walk from metro and an airplane bus stop made transportation to/from the airport or anywhere in Bucharest easy. The staff was very welcoming and did their best to make sure that everyone had a great time. Would recommend and would stay again! Common room is next to bedrooms and there is no noise regulation so you can easily be woken up in the middle of night by friendly get togethers. The kitchen area is well supplied and clean. Staff is helpful. Location is great. Shower head isn't attached to wall so it is a little inconvenient. The hostel had the necessary basics (towels included was a huge plus), but it wasn’t over the top with their facilities. I think the cleanliness could have been better, but the atmosphere and the people were top notch. The hostel is in a good location too, which made it easy to navigate around the city.